It is customary to explain the etymology of the word « foulard » (the French word for scarf). It comes from the Provençal word « foulat, » which means « crushed » and would refer to a piece of lightweight cloth, according to the Littré dictionary. This common acceptance refers to the technique of crushing. Before the invention of machinery, people crushed textiles by foot (like grapes!) This allowed the wool fibers of the cloth to tighten or loosen. The use of the word « foulard » in the French language is attested in the eighteenth century, although the word « fichu » (« damn ») is preferred when it comes to designating a piece of cloth covering the shoulders or head. It is in the following century that the word « foulard » is universally used, relegating the scarf to a more popular rank. Because « foulard » means more broadly any silk cloth, only wealthier women could afford to wear it. 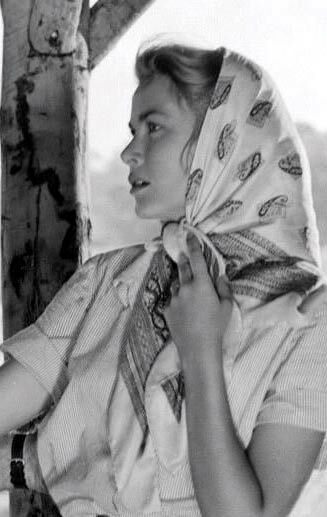 However, the use of the headscarf itself is much older! We can trace its mark in Africa, the Middle East, and Eastern Europe. Used by men around the neck or by women to cover the hair, the scarf may have a symbolic meaning, a purely functional use, or be imposed by religious norms. Its history is intertwined with that of the veil in antiquity, and the civilizations of the Middle East have long retained that particular use. A symbol of submission of women before men and therefore before God, the scarf still retains this meaning in Islam, among Orthodox Jews, and in the Catholic religion. In Africa, the scarf has a very different meaning. This accessory that is worn on the head has a protective, symbolic and aesthetic function. Indeed, it protects the woman from evil spells, and depending on the way it is knotted, it gives different indications on the status of the one who wears it. Nowadays, it is the aesthetic value which predominates: the scarf, knotted on the front or on the neck, enhances the beauty of a face and the majesty of a silhouette. In Western civilization, the scarf certainly owes much to the Judeo-Christian heritage: European women have long worn a headdress and a scarf or kerchief was economical and practical headgear. For men, the scarf is confused with the handkerchief. This accessory, placed around the neck, protected from the cold or from sweating. Incidentally, the word « cravat » (« necktie ») originated from a Croatian word. Croatian mercenaries, who began in the service of France under Louis XIII, wore a scarf around the neck. 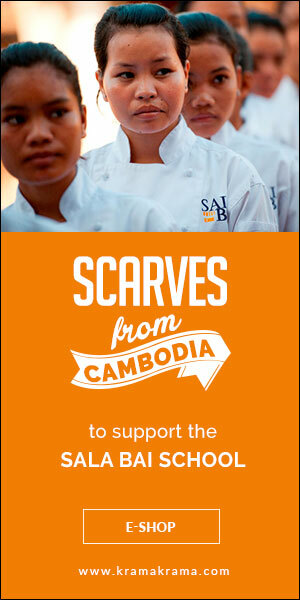 The scarf as it is known today in the Western fashion world has erased its symbolic and religious functions. It now appears as an aesthetic, and to some extent practical, ornament. The idea seems to emanate from an Italian designer, Emilio Pucci in the 1950s. Recognizing that women used it as an economic alternative to the hat, he developed the concept in relying on printed silk that formed his reputation. In any case, the principle has quickly inspired stylists. Designed as a square of silk or cotton to cover the head, the scarf has regained its nobility, while it is associated with popular clothing. Hermes, Versace, and many other renowned fashion houses have managed to turn this piece of fabric into a highly-refined accessory. Grace Kelly, Marilyn Monroe, Audrey Hepburn, Brigitte Bardot… Many are the actresses to seize this accessory in a very personal, chic and glamorous way! 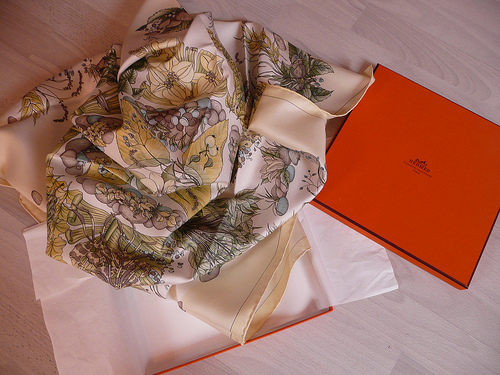 Today, the silk or cotton scarf is an inevitable part of the wardrobe, both for women and for men.